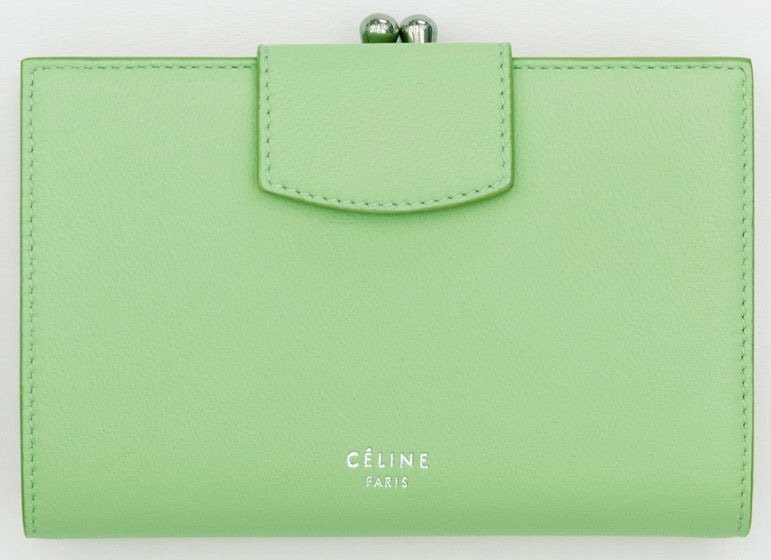 A beautiful wallet or purse, new from Celine for the Summer 2018 Collection. It’s called the Celine Multifunction Purse and its practical in the in- and outside.The design of the purse is mixed with feminine appeal, but also with clean and streamlined look. 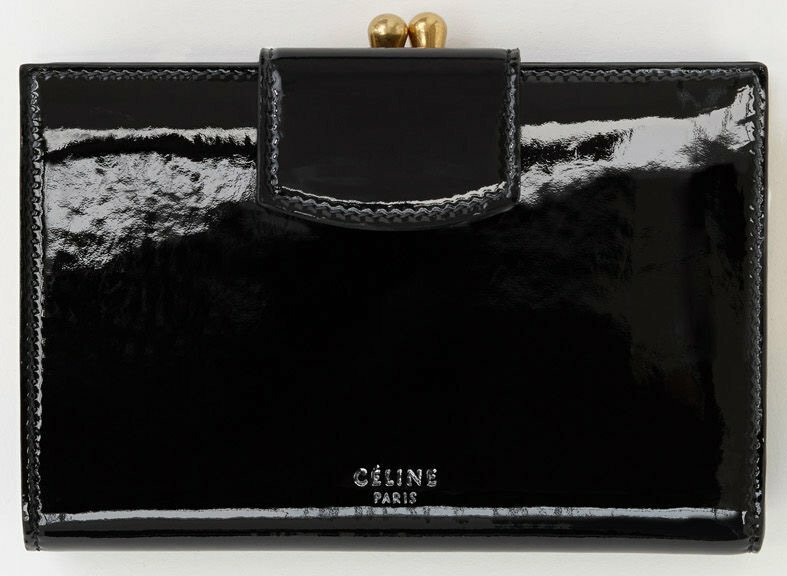 It’s a more sophisticated version than the other Multifunctional Wallet that Celine has built in the past. And it’s definitely worth taking a look. 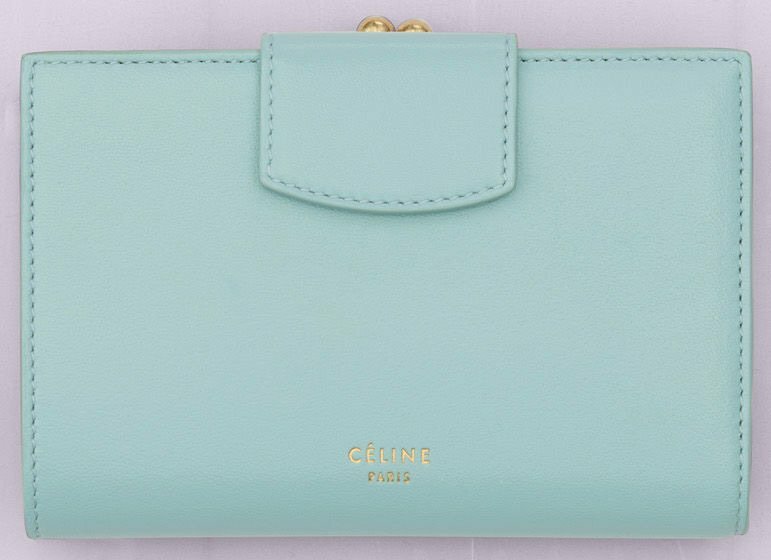 The front makes anyone think it’s a small ordinary wallet, but it’s actually crafted from smooth lambskin leather, beautified with simple Celine logo on the bottom. The real beauty is the snap button and clasp closure on the top. It features a nice gold metal clasp for the ultimate chic’ness. This purse can be carried as an evening item as well; it’s just too beautiful to keep it hidden inside your wallet, right? 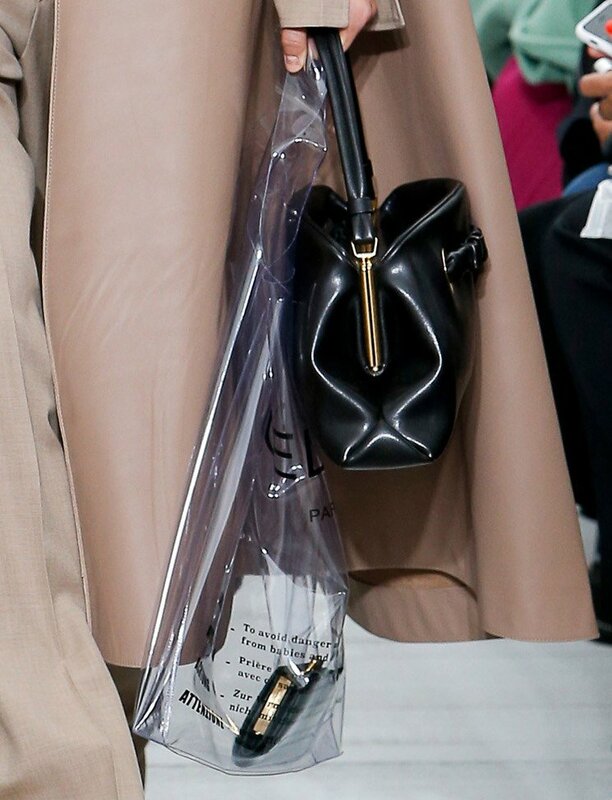 The wallet comes with a plastic bag as seen on the runway show. So there is actually a style to it. 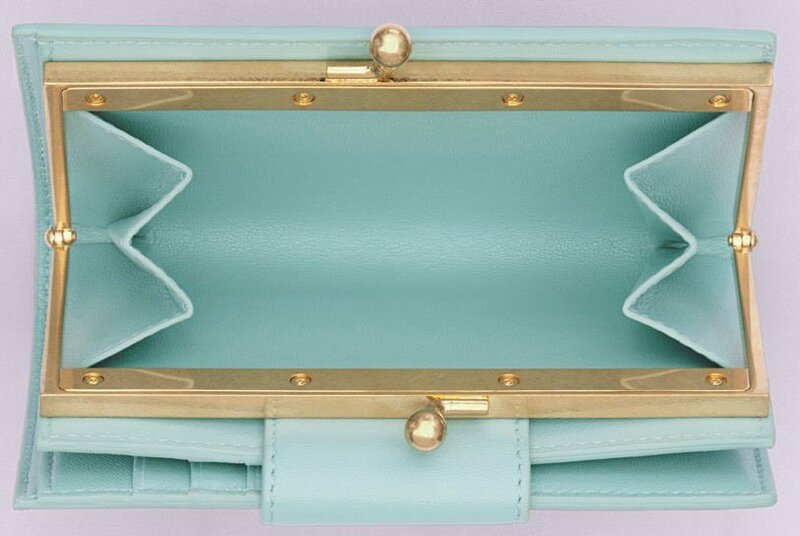 The wallet is really pretty, but what’s more important is the interior. So let’s dive into that. So there few useful compartment that you want to be aware of (which is also why this wallet is one of the most practical out there). First there is a coin compartment, but of course it can be used for anything you like. 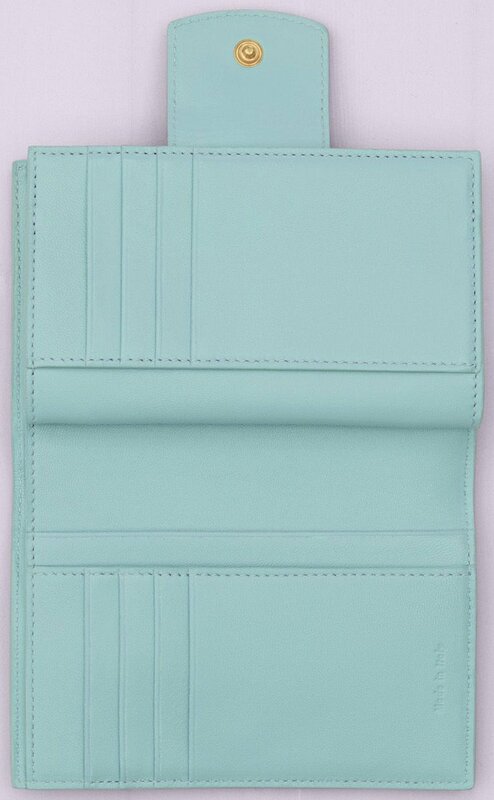 Then there is also a note pocket, 3 flat pockets and 8 card slots. The interior lining is calfskin. Measuring 5’ x 4’ inches, priced at $1000 USD, €680 EUR, £630 GBP, $1300 SGD, $7900 HKD, $1250 AUD, ¥110000 JPY, 7400 CNY via Celine boutiques.